Inspired by the lobster – known as one of the most loyal creatures in that it partners for life – Quiznos, a leader in premium toasted sandwiches and mobile loyalty programs, will show loyalty members its love by giving them one free Lobster &Seafood sub in February. For two weeks beginning Valentine’s Day, the day for love, all new or current members of Quiznos’ Toasty Points loyalty app program will receive one free, eight-inch Lobster &Seafood Scampi Bake or Lobster & Seafood Classic sub with any purchase at all participating U.S. locations. 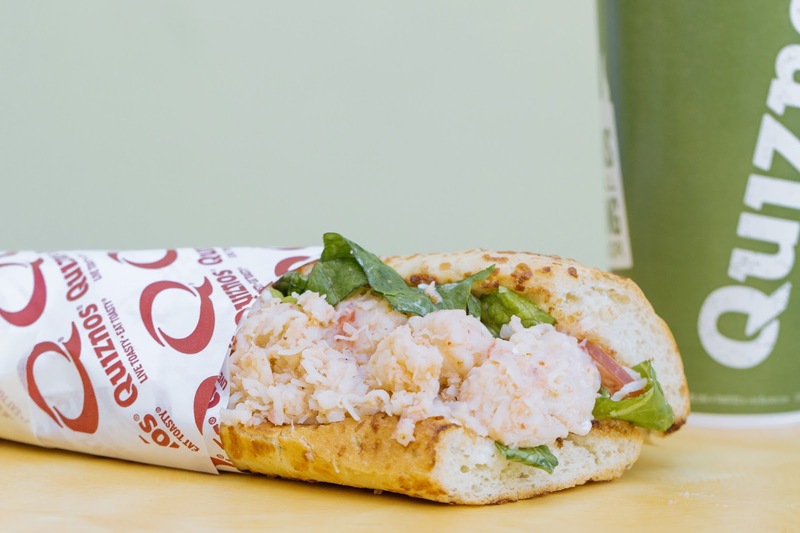 Quiznos’ lobster subs are part of its lobster and seafood lineup that is available for a limited time through the end of March. · Lobster & Seafood Scampi Bake: inspired by the traditional Italian scampi dish, this hot and toasted sub features garlic-baked lobster and seafood, melted mozzarella, sautéed mushrooms and onions, and tomatoes and garlic aioli served on Quiznos’ artisan bread with a lemon wedge garnish. Average retail prices: four-inch $5, eight-inch $7 and 12-inch $9. · Lobster & Seafood Classic Sub: for those who crave a more New England-style lobster roll, Quiznos serves its freshly prepared, cool lobster and seafood salad mix with crisp, shredded lettuce on Quiznos butter-toasted artisan bread with a lemon wedge garnish. Average retail prices: four-inch $5, eight-inch $7 and 12-inch $9. · Lobster & Seafood Fresh Salad: inspired by West Coast-style seafood salads, Quiznos serves its lobster and seafood salad mix on a bed of crisp salad lettuce blended with fresh tomatoes accented by Quiznos’ signature Ranch dressing and a lemon wedge. Half Seafood Salad for $4 and full Seafood Salad for $7.